With healthcare mergers and acquisitions on the rise, procedural variation is becoming more common within a healthcare system. As hospitals and systems merge, each system brings with it a unique set of policies, procedures, and processes. Each different policy, procedure, and process creates procedural variation. There is extreme value in reducing procedural variation in order to make healthcare more streamlined and efficient for the patient. There are two parts to addressing healthcare procedural variation: clinical opportunity and business opportunity. While the two sides differ, there is also a lot of overlap where reducing procedural variation benefits both the clinical and the business sides of healthcare. The clinical side of addressing procedural variation focuses purely on the patient and the clinical perspective. As an example, if you have 20 orthopedic surgeons in your healthcare system who use 20 different products, this could result in 20 different ways of performing a procedure and potentially many different clinical outcomes. If we can ensure that 80% of patient cases are performed in the same data-driven outcome-focused way, we can dramatically reduce clinical procedural variation. By decreasing clinical procedural variation, we can begin to move medicine away from being an art, where 20 different physicians learn 20 different ways of doing something, toward being a science, where big data is explored with the goal of enabling physicians to uniformly do procedures in the most effective and beneficial ways possible. If we can decrease procedural variation within a clinic, hospital, or healthcare system, this will allow the institution the opportunity to reduce inventory, reduce the amount of nurse and technician education needed, and reduce costs. When clinical processes are more streamlined, inventory can be reduced as most of the time physicians will be using the same tools for the same types of procedures. Having a more streamlined approach based on clinical best practices would also help reduce the need to educate nurses and technicians on multiple procedural approaches. In addition, fewer materials would be ordered. As a result of all of these factors, costs would go down. By streamlining clinical processes and business practices, we create a win for the patient as well as for the financial health of an organization. Just as in my November blog post, on clinical alignment and integration, here too the focus needs to be on analytical data. If we apply outcome-focused data-driven methodology, such as following a specific 10-step process when performing a knee and hip replacement, we can ensure a high probability of success for patients and in turn reduce costs. In our knee-and-hip­-replacement example above, the surgery set-up is the same, the surgery timeline is the same, and, in turn, the patient outcomes are similar. Our healthcare systems can become more efficient and more effective at the same time. If we are willing to step back and look at the big picture, we begin to see both patient and operational benefits. There is an opportunity for increased partnership and teamwork between administration and clinicians. 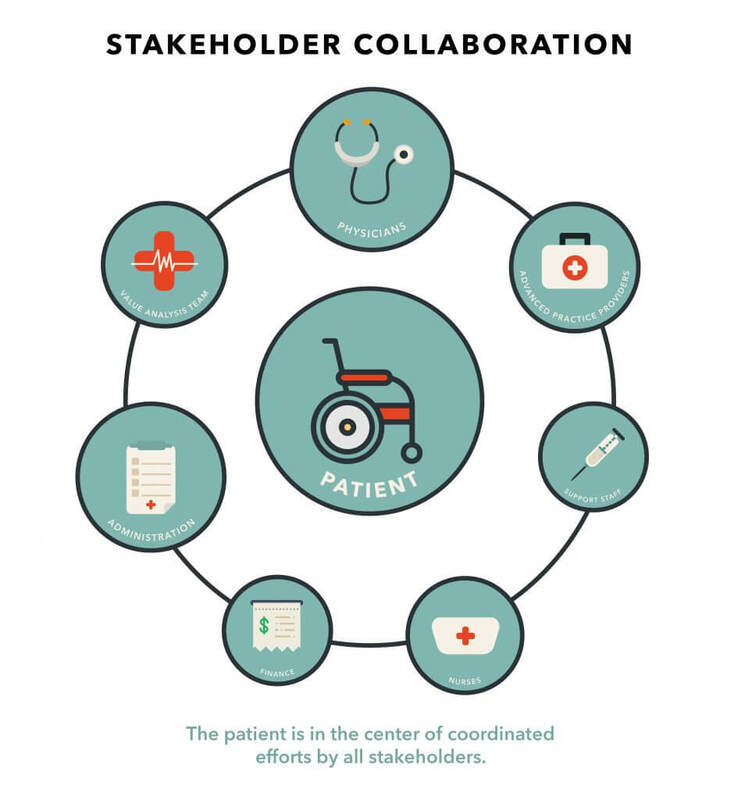 More and more physicians and administrators are working collaboratively and truly putting the patient at the center of everything they do in healthcare. All stakeholders need to align together to make the best decisions for the patient from an outcome and a cost perspective. This collaboration won’t happen overnight but it is increasing across the country as healthcare evolves. If it were I—if I were a patient—this is how I would want my care administered: consistently, efficiently, with a high probability of success, and with little procedural variation. What are you doing to reduce procedural variation? Share your thoughts with me on Twitter and LinkedIn.